Bosch’s mantra is that they are ‘invented for life’ and we can’t help but agree! When it comes to wiper blades, especially, they know their stuff and can make you have a superior driving experience on a daily basis. We all know there’s nothing worse than squeaky wiper blades that leave your windscreen with smears. That’s where Bosch Aerotiwin Wiper Blades come in – enjoy easy installation with the Quik Clip adaptor, imprived service life, and, best of all, chatter-free operation! Why are Bosch Aerotwin Wiper Blades so Great? Continuing Bosch’s trend of innovation and expansion, Bosch Aerotwin Wiper Blades feature unique, hard-to-find adaptors. Enjoy a complete replacement set of Bosch Aerotwin Wiper Blades for your car, and feel (well, see!) the difference. 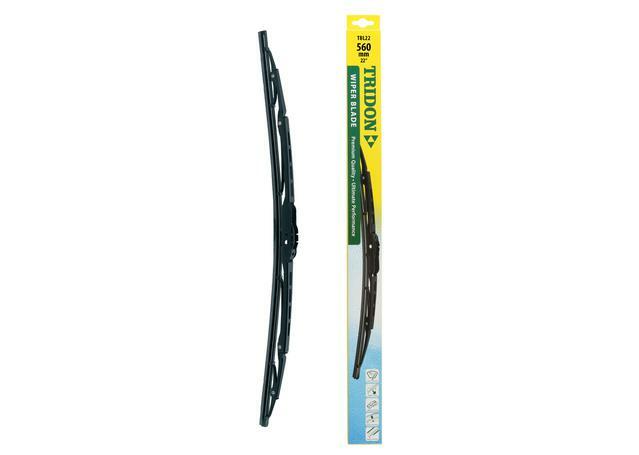 With a dual rubber compound blended with graphite, you don’t have to worry about your wiper blade coating wearing before the blades do. Speciality Bosch Aerotwin Wiper blades also have Bosch-patented beam technology and asymmetrical wind spoilers, allowing for a uniform wipe and enhanced wiper-to-windscreen contact. With well over 100 different Bosch Aerotwin Wipers Blades on offer, Sparesbox are proud to bring you a comprehensive range for a variety of popular, old, and new vehicle models. Depending on your vehicle and preferences, you can buy the blades as a Bosch Aerotwin Wiper Blades set or as a single Bosch Aerotwin Wiper Blade. With OE fitment and a huge range for a variety of vehicle makes and models, you’re bound to find a speciality Bosch Aerotwin Wiper Blades set made for your car!